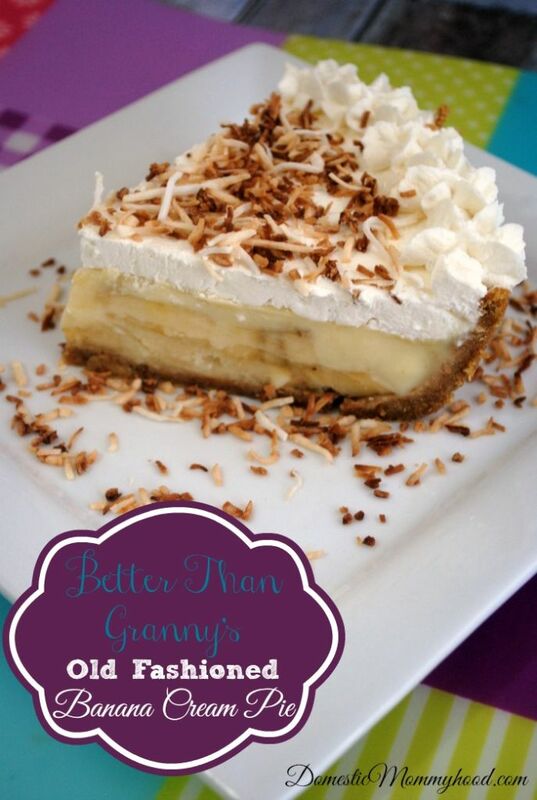 There is no better comfort food than Granny’s Banana Cream Pie and I have found a fabulous recipe for an old fashioned Banana Cream Pie that will even shock Granny……. although she may never admit it!!! It’s pretty simple to do and you definitely won’t have any leftovers at your backyard party or office pot luck. So let’s belly up to the stove and get to cooking! The first step in making the pie filling is to scald your milk. You can do this by placing in the microwave oven for 3 to 5 minutes. You do not want your milk to boil. Place the following ingredients in a medium to large pot over medium heat: milk, sugar, flour and salt. begin whisking the ingredients together until mixed well. Continue whisking until the sauce begins to thicken, this will take approximately 8-10 minutes. You will know that it is done when it reaches a pudding like texture. Once it reaches the pudding like consistency continue stirring at least 4 minutes. Whisk your egg yolks in another bowl then add a TBSP of your heated pudding and stir. This will keep your eggs and mixture from curdling. Add the egg mixture to the pudding and continue cooking on low heat for around 3-4 minutes. Remove from heat. 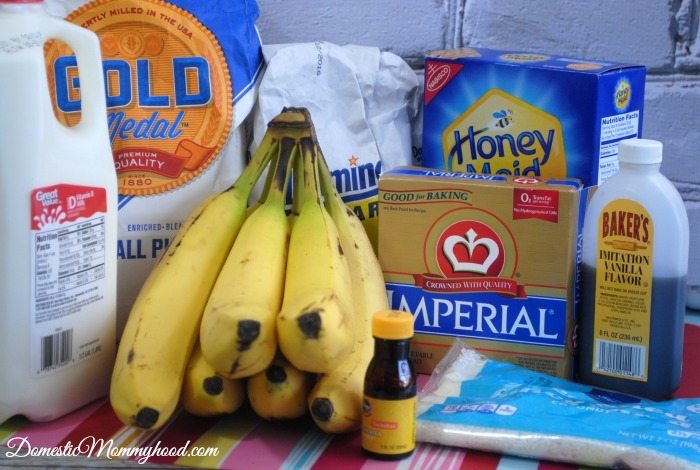 Stir in the butter, banana flavoring and vanilla. 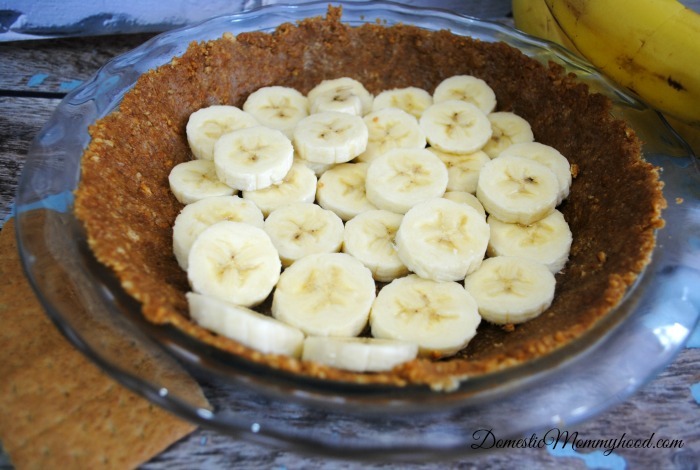 Slice up the remaining bananas and place them on top of your prepared graham cracker crust. 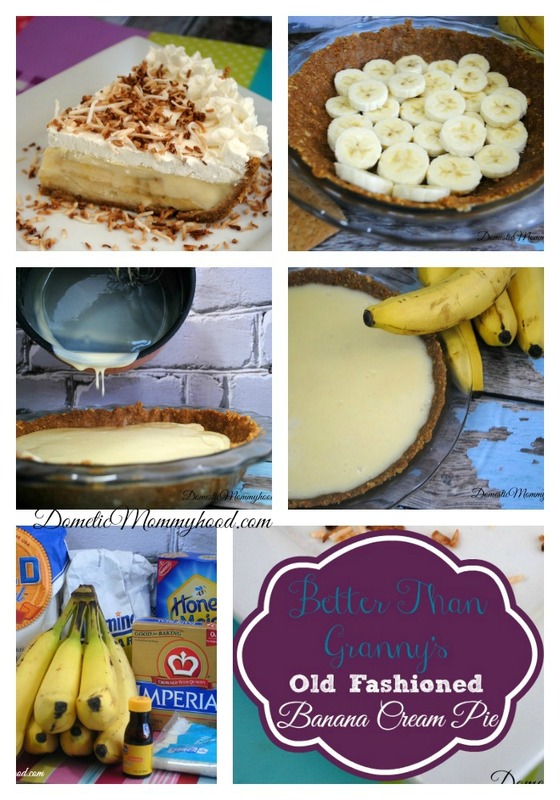 Pour your banana pudding over the bananas in your graham cracker crust. Place pie in the refrigerator to cool for several hours. In a medium bowl combine graham cracker crumbs and melted butter. Press into your pie pan. Begin by placing your heavy cream into a medium bowl. Begin whipping the heavy cream and add in white sugar. Continue mixing, Once it begins to thicken add in vanilla and mix well. 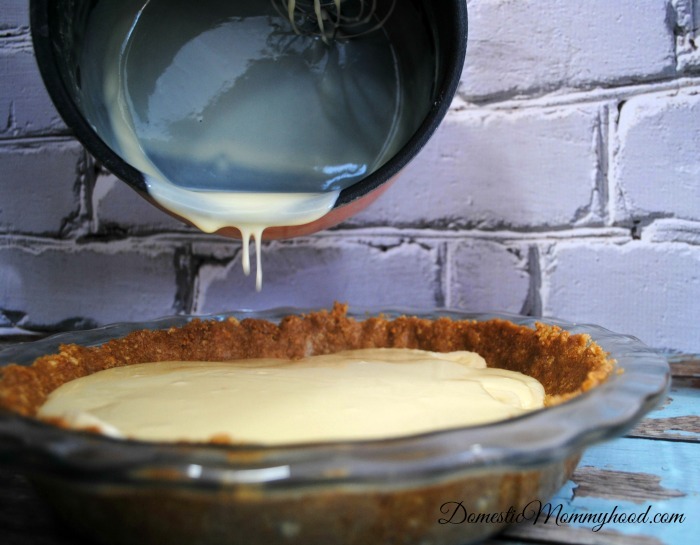 Once it reaches it reaches it’s light and fluffy consistency place whipped topping onto the chilled pie. For that extra special touch sprinkle toasted coconut on top of your beautiful pie! Enjoy!